Calum Callaghan is best known for playing George Towler in ITV’s Mr Selfridge and he has featured in Silk, Torchwood and The Bill. 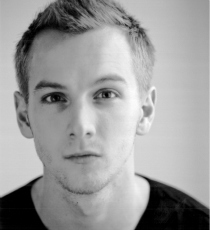 Calum’s stage credits include Cymbeline (Shakespeare’s Globe), Port (National Theatre) and Saved (Lyric Theatre). He has also appeared as a presenter for Stitch Up and Discovery Kids as well as voicing characters in BBC Radio dramas.